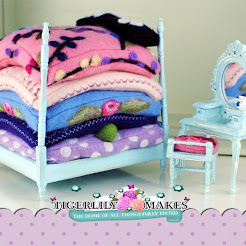 Well hello and wonderful woolly welcomes to our latest blog post. Today I wanted to share some fun pictures from a recent felt pictures course, that highlight the very exciting and changing nature of felt. Pictured above are the dry stages of creating pictures with some of the lovely ladies on one of my courses - you may have seen the group and finished pictures posts on other blog entries. We will be charting their progress and outcomes over the next couple of weeks and some of the stages involved in the process. 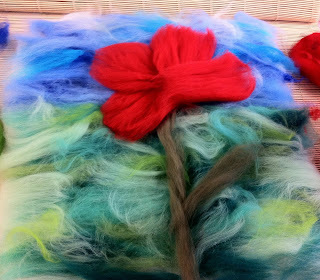 If you fancy trying your hand at felting, why not browse the courses on offer on our website. Our pictures course has now been upgraded to include option machine embroidery if desired. Our next felt pictures course is on Saturday 7th September. 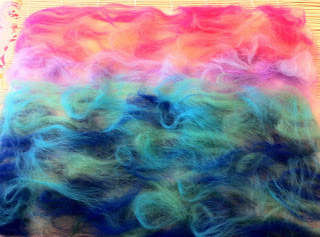 But for now keeeeeeeeeeeeep felting!